Amsterdam, a characteristically unique city filled with so much charm, beautiful architecture, canals, and a great mixture of cultures. I loved this city, it had so much to offer. Not only was I in awe of all the people riding their bikes everywhere but it was clean and well-kept. It was amazing to me how active everyone in Amsterdam (and Europe in general) are. Not only were there a million bikes but the parks were consistently filled with people playing games, reading on a bench, sunbathing on the grass, and walking their dogs. I can honestly say I fell in love with the lifestyle of this city. 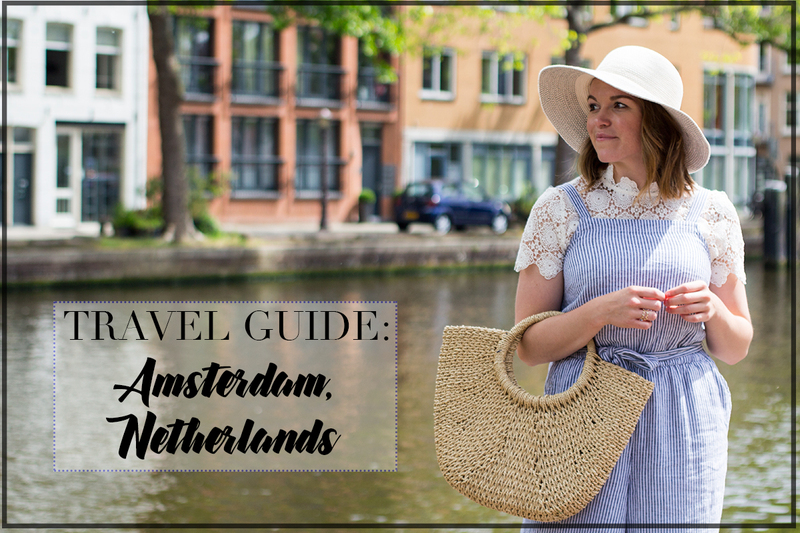 Below, I'm sharing where we stayed (the CUTEST B&B), what we did, and where we ate - a perfect guide for three days in Amsterdam. Share below if you've ever been to the city and what you did! Where To Stay: We stayed at the most charming B&B in the city, Paul & Karen's B&B Amsterdam. The rooms were all white with accents floral prints, gold hardware, and beautiful bay windows overlooking the garden terrace. Not only were Paul and Karen so helpful, all of the staff that helped were so kind. From giving us maps, recommendations, and showing us around - they made are stay that much more worthwhile. Every morning a scrumptious breakfast was served at 8:30am; homemade muffins and bread, freshly squeezed orange juice, and a light and fluffy yogurt that was incredible. The kitchen was near our room and we could smell the entire "breakfast baking" process, they would then knock on our door and slip a note under letting us know breakfast was ready. It's one thing to go to the kitchen for your breakfast but this was so wonderfully served to our room or, if we opted, on the garden terrace. 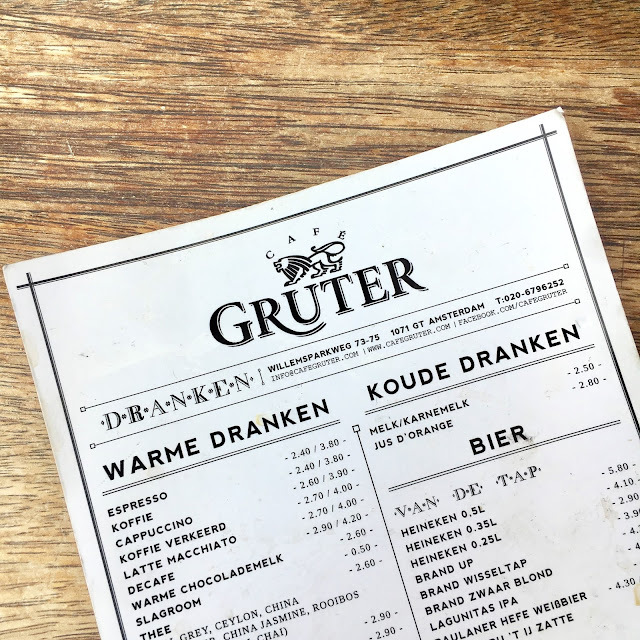 Cafe Gruter: This was located near Vondelpark, a park we walked through everyday to get to inner city. Gruter houses the absolute BEST pulled chicken sandwich you have ever (and will ever) have. The sandwich, made with their swanjesauce, came into between two large slices of homemade bread and a side of fresh coleslaw. I have never eaten such a delicious sandwich - definitely worth the walk or tram ride, you won't be disappointed. Sampurna Indonesian Rice Table: Located right next to the Amsterdam flower market, this Indonesian Rice Table restaurant was to die for. We met up with some friends the first night so there were six of us - we ordered three of the "rice tables" and shared all among us. I cannot explain how delicious it was - my mouth is currently watering! This is a great place for a date if there is just two of you and you get to try an abundance of food: ayam ruyak, daging smoor, and acar ketimun to name a few. 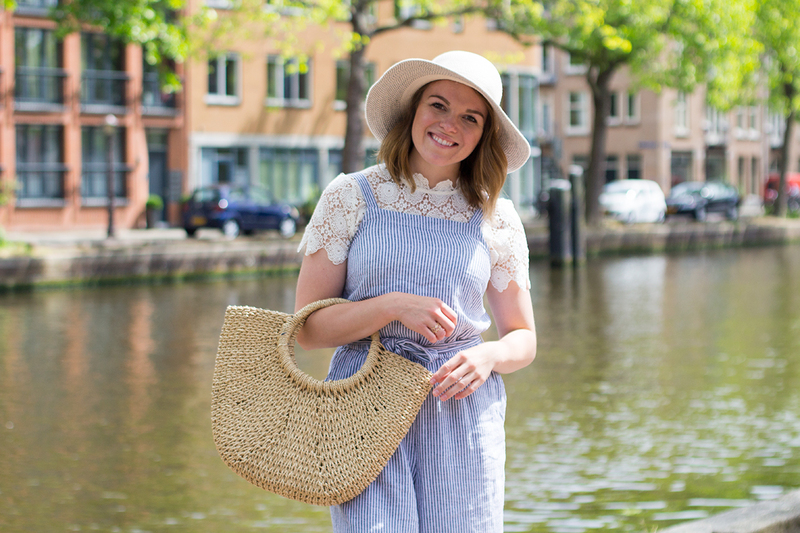 Downtown Amsterdam: Take time to wander through the downtown streets. There are tons of shops, boutiques, tucked away cafes and bars. My sister and I were back in this area a lot - to shop, eat and people watch! Flower Market: One of my favorite parts of Amsterdam is the flower market - it's a long street filled with flower vendors. All the locals stop by the market and ride their bikes back home with bushels of flowers in the bike basket - it's so cute! Paddle Boat Ride - If you watched my Instagram Stories while I was in Europe then you may have seen my sister and I rent a paddle boat. Fun thought at first but we went the wrong way and ended up paddle boating for an hour and half. It was a lot of fun - but we decided we will bring more people next time so we don't work our legs for that long haha! Lunchroom Downtown: Great food for a great price - stop here if you are on a time crunch and want something delicious to eat! Pompadour: The best local place to stop and get a sweet treat - all of the deserts are homemade from apple pie, chocolate cake, to chocolate treats. We were really tired of walking and needed a place to rest our feet, we ordered a Coca-Cola, cappuccino and some pie to fill ourselves up. Frenzi Cucina - A scrumptious tapas restaurant a short walk from Paul & Karen's B&B. Walk the Nine Streets of Shopping: This is hands-down the best shopping in Amsterdam. So many of these shops are local boutiques and upscale designers. It was fun to see what shopping was like in a European city with brands and boutiques that we don't have here in the U.S. Pompadour is located on these streets so stop in and get a sweet treat then back to shopping! Anne Frank Museum: This was on the top of our list as sights to see in Amsterdam - and I'm so glad we did. Chilling yet so inspiring, my favorite museum I have ever been to. It was heartbreaking to see how the Frank family lived, a must-see for everyone! Dom Square: Where the National Monument and Royal Palace are located, this is a fun area to walk around in, there are a bunch of shops and eateries. Night Canal Boat Tour: Finish the night off with a night cap...on a canal boat tour of course. I actually loved listening to the audio on this ride. We relaxed on the back of the boat for a hour ride and then stopped to get tapas after. It was nice to relax after a long day of walking! Gent: If you stay at the local B&B above then this is a great hotspot - right on the corner of the street lies Gent. The food is wonderful - most of waiters and waitresses don't speak much English (that's how you know it's a local place). Everyday around 4-5pm all the locals would gather at Gent, sit outside, drink a beer or sip on some wine. The Pancake Bakery: You cannot go to Amsterdam without going to get pancakes. These are the size of your head and will definitely fill you up. They are delicious! Visit "I AMsterdam" Sculpture: Great place for a photo opp. Go early so you can avoid crowds and get a great picture! Van Gogh Museum: My favorite after the Anne frank Museum - this houses Van Gogh's famous sunflower print. The museum is arranged in chronological order of his life works, which I loved. You were able to see his paintings from when he lived in Montmartre, Paris to when he moved away from Paris. His work is truly breathtaking. Wander Amsterdam-Zuid and Vondelpark: One of our favorite places was just south of Vondelpark, home to great places to eat (like Gruter) and fun shops and boutiques. This is a large area filled with museums, parks, and a lot of locals! I love getting out of the touristy-spots - that's when you really get to know the culture. If you have ever been to Amsterdam, share what you did below for others to see!